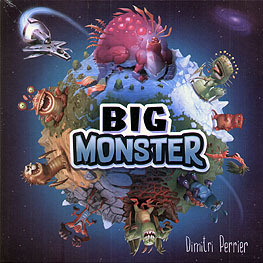 Big Monster takes you to an unknown and exuberant planet where you will discover strange monsters and rare crystals, but also compete with other explorers to fulfil various missions. Fun, tactical, easy to explain, and smooth to play, Big Monster is both for families and expert gamers. 3 game modes: competitive mode, team mode, and 2 player mode.